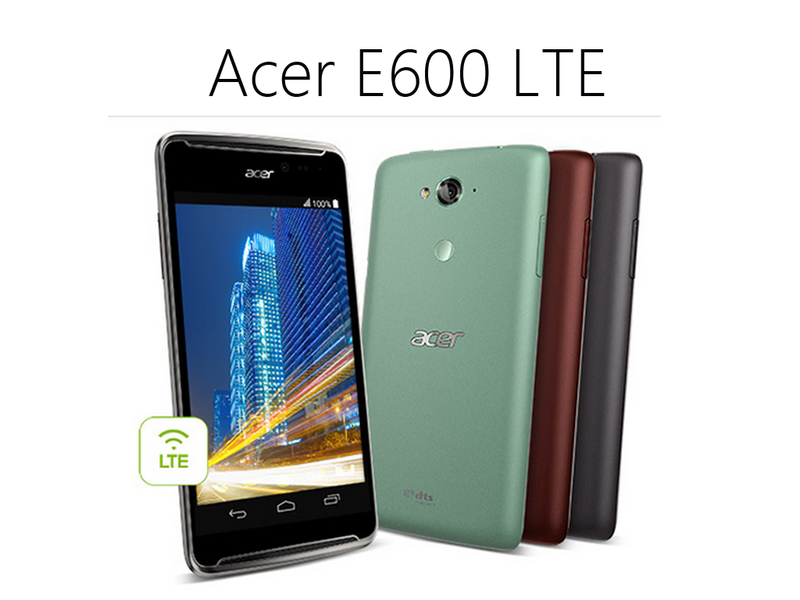 Acer Liquid E600 LTE Now Available On Villman. Priced At Php 8,988! The Acer Liquid E600 LTE is now available in Villman. The handset sports a 5-inch FWVGA IPS display and is powered by 1.2GHz Qualcomm Snapgdragon 400 quad-core processor. It also features Adreno 305 GPU, 2 GB of RAM, 16 GB of internal memory (expandable up to 32GB via microSD), 8 MP rear camera with LED flash, 2 MP front camera, 4G LTE connectivity and 2500 mAh battery capacity. It runs Android 4.4.2 KitKat operating system. The Acer Liquid E600 LTE costs Php 8,988. Check out Villman's website by heading to the source link below.